Accelerate your ability to deliver change results with 12 months of customized one-on-one virtual coaching from a top Prosci advisor. Change practitioners are often faced with challenging situations that can alter their initial change management plans. 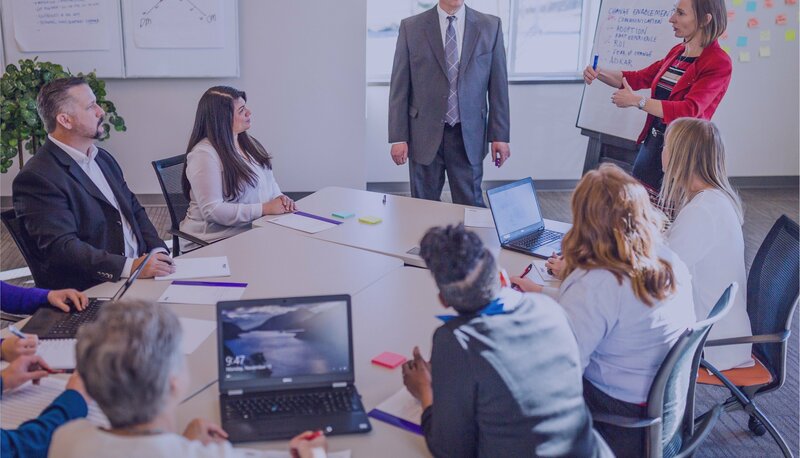 Practitioners can benefit from guidance and coaching provided by an objective change management expert to adapt their approach and deliver desired project outcomes. 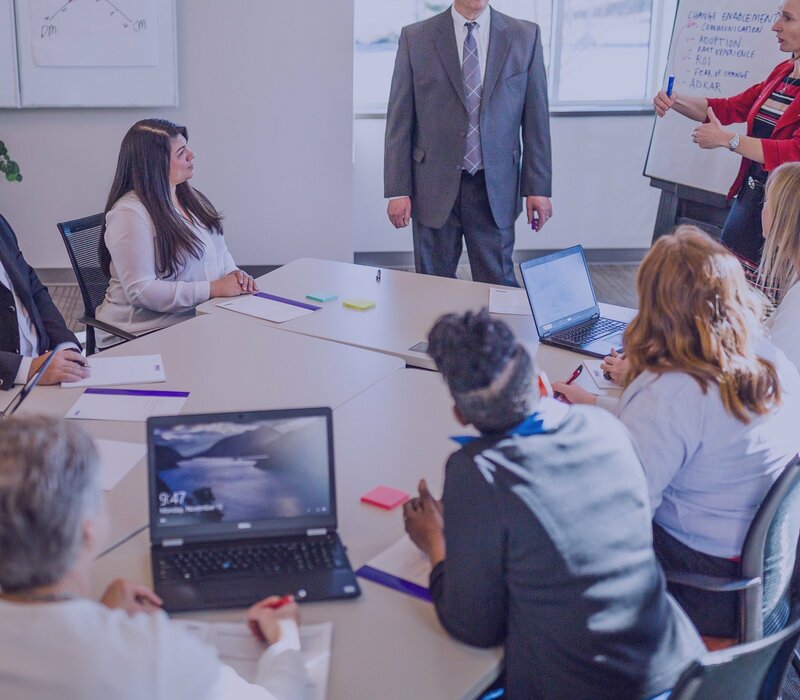 Your Prosci Change Advisor will partner with you to understand your challenges, define success for your project, create a customized support plan, and provide extended virtual coaching. 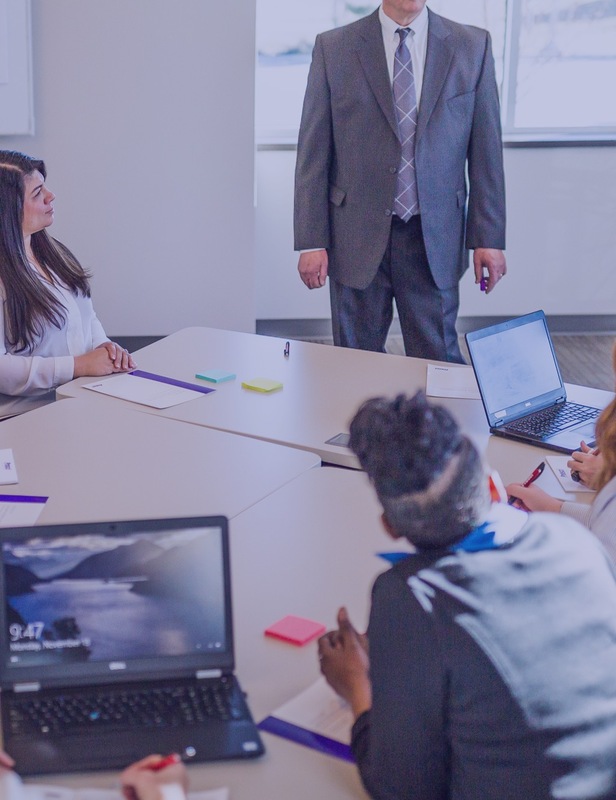 This service is only available to you if you are a graduate of our Practitioner Certification Program and is best taken immediately following your graduation. 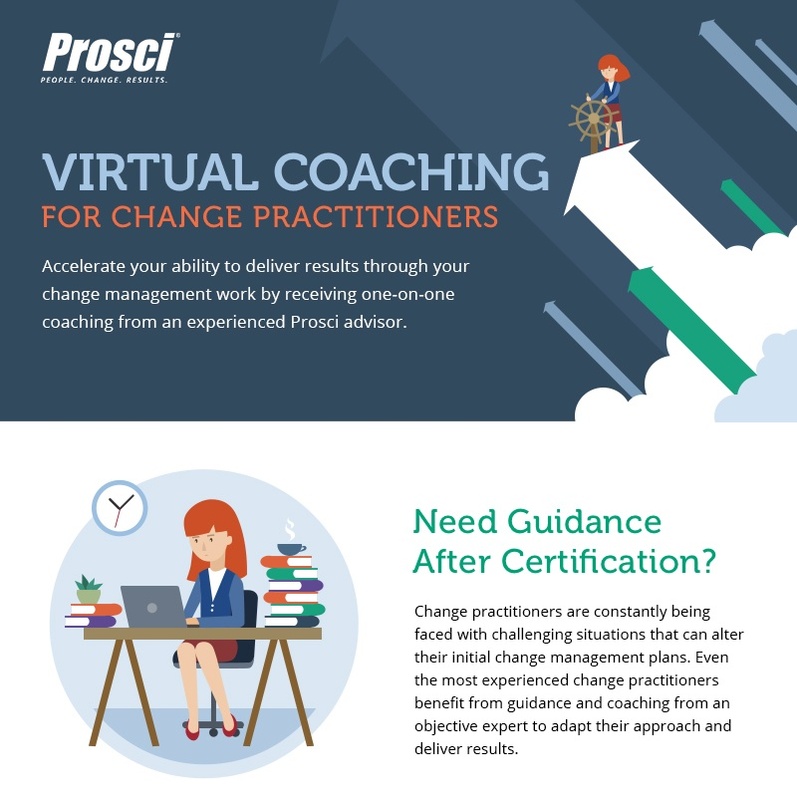 Maintain confidence and accelerate your ability to quickly deliver results with the Virtual Coaching for Change Practitioners. Virtual Coaching for Change Practitioners combines scheduled, virtual coaching calls and on-demand phone and email support. How frequently you meet virtually with your advisor will depend on your unique needs and situation, and is ultimately up to you. Virtual Coaching is a fantastically helpful resource. Through my interactions with my advisor, I feel extremely well supported in my development as a change management practitioner. Keep your post-certification momentum going.